Most people wouldn’t say they enjoy spending almost 10% of their days scrubbing, vacuuming, washing and shoveling up piles of clutter. Millions of dollars are poured into laborsaving devices, like self-cleaning ovens, robot vacuum cleaners, and toy storage bins. Consumers are always on the lookout for a simpler, effective way to help make cleaning a snap. 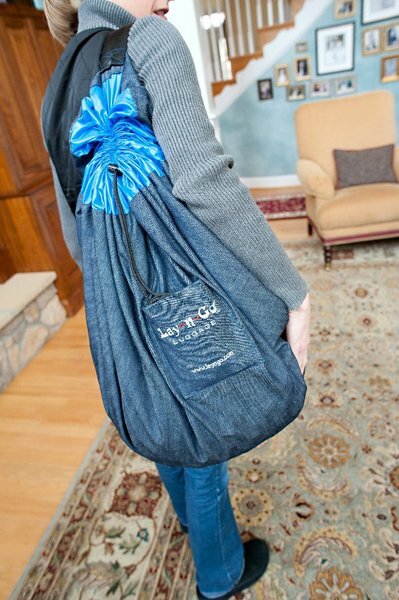 Featured on MSNBC, the Lay-n-Go is the must-have time-saving device for households with small children (or people who act like them). 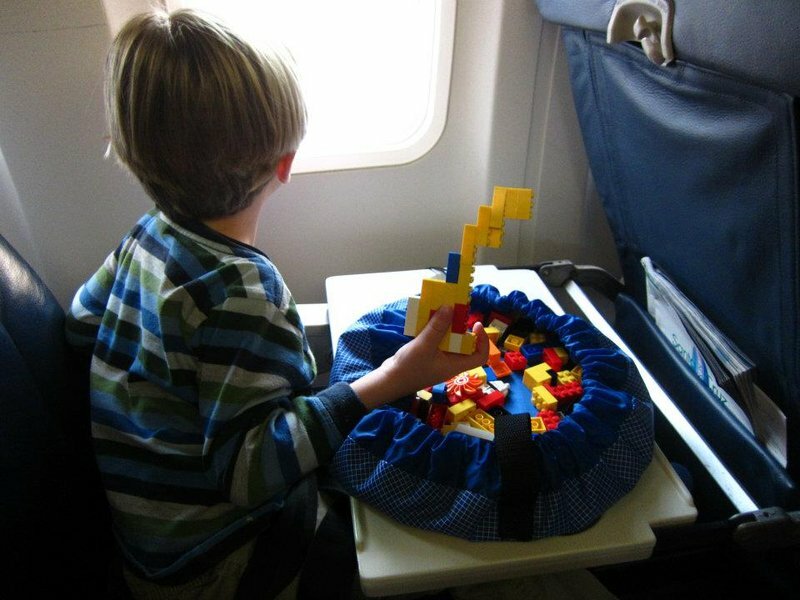 A wife-and-husband team were thrilled that their children spent hours developing their creativity with tiny plastic blocks. They weren’t quite so happy with the clean up; after all, those tiny bricks take up a lot of space and one always seems to be left underfoot somewhere. After some hands-on research, they developed a parent’s dream: a self-cleaning activity space. 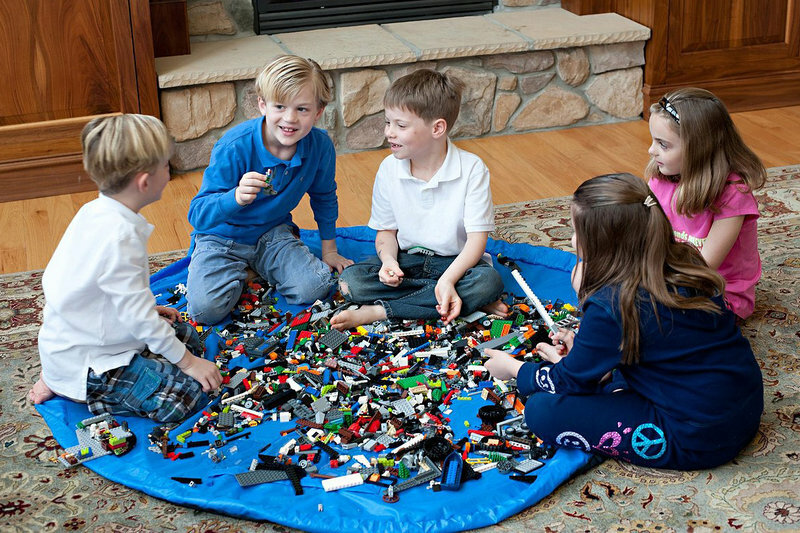 At five feet in diameter, the Lay-n-Go is generously proportioned to tackle even the largest load of plastic bricks, wooden building blocks or tiny doll accessories. The ingenious design is a cinch — literally! Small parts or toys can be dumped into the center of the activity mat. After all the fun is over, the drawstrings on the edges of the mat are pulled to transform the mat into a soft, easily stored carrier. Constructed of a rough-and-ready exterior and soft nylon on the interior, the Lay-N-Go also has four 7”x 6” pockets for sorting and storage. 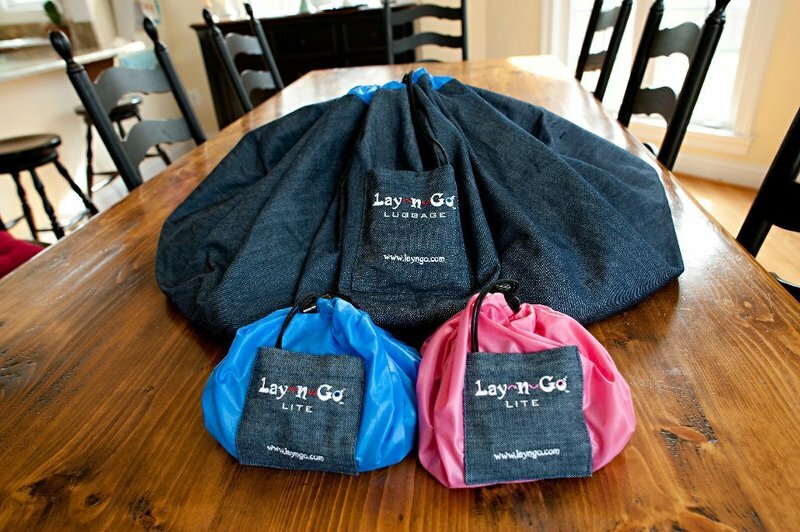 The Lay-n-Go has a little companion too: the Lay-n-Go Lite, an 18-inch travel version of the larger mat. Like the full-sized model, it comes in green, pink or blue, and is constructed of 100% nylon for easy travel. It sports the same type of nylon cord and lock as the bigger mat, meaning that clean up is not only a snap, but safe storage is too.